BUKU Music + Art Festival organizers have announced the final artist lineup additions for their 2018 festival, set for March 9 and 10 at Mardi Gras World in New Orleans, La. Additions include Illenium, Snails, Walker & Royce, Nic Rack, Rusy Lazer, Noname, Homeshake, Lil Uzi Vert, and more. 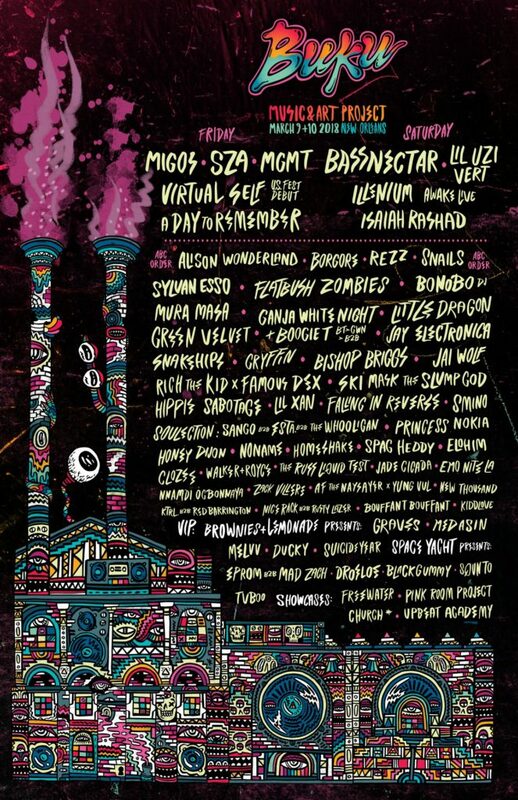 Already announced artists include Bassnectar, Migos, MGMT, SZA, Virtual Self, A Day To Remember, Isaiah Rashad, Alison Wonderland, Rezz, Borgore, Sylvan Esso, Flatbush Zombies, Bonobo (DJ), Mura Masa, Ganja White Night + Boogie T, Little Dragon, Green Velvet, Jay Electronica, and more (see full lineup graphic below). 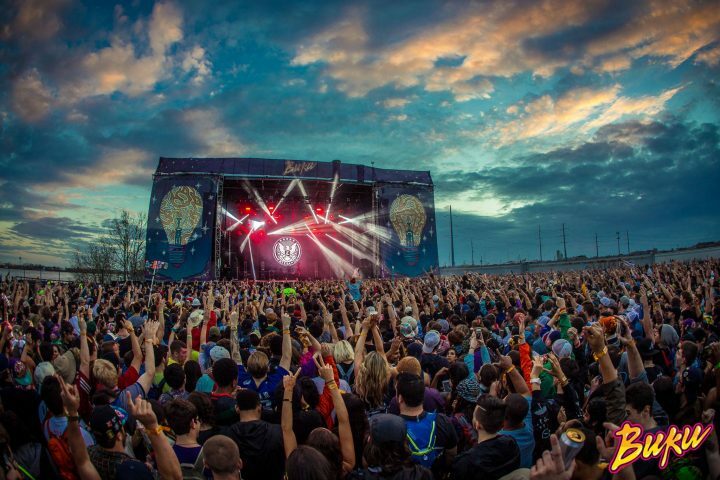 BUKU tickets are on sale now, starting at $190 for two-day general admission passes.